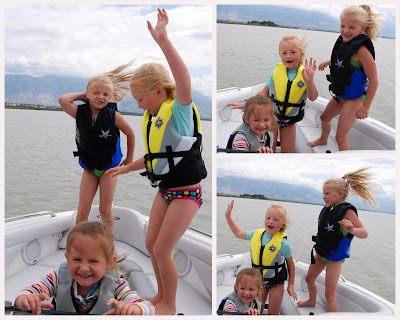 The girls were thrilled to get to dance in the front of the boat while U2 blared on the speakers. Those three have some pretty good moves. 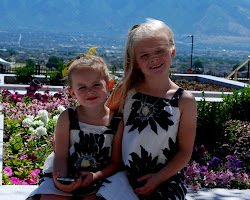 I tell you, we will have to watch them when they get older! The kids had a blast swimming, even though the water was only 67 degrees. We'll be getting them wetsuits if we continue going out in bad weather. Ivy, of course, was a little unsure. 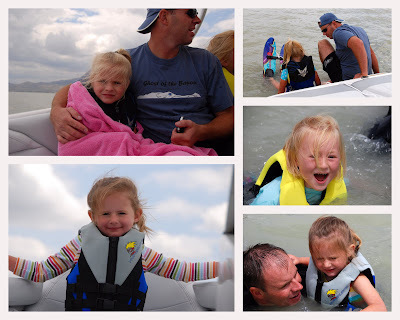 Jade wasn't willing to try water skiing just yet- at least not in the freezing cold water. 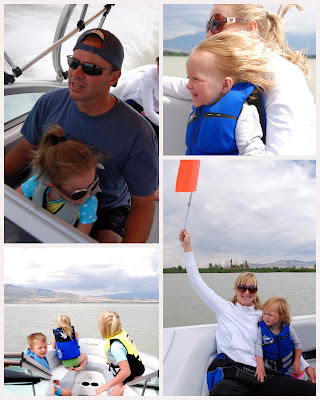 We are really looking forward to a lot more family nights out with friends on the boat. If you're interested in going, let us know. We're always up for an outing and we can't go out just the 4 of us.